On the north bank of the Srepok River, trash fires make ashes of what the families have left behind. 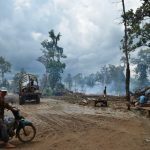 They had fled before the rising waters promised by the Lower Sesan II dam, which closed its first floodgate for testing on Saturday morning after three contentious years of construction. Plumes of thick white smoke drift through the trees into an overcast sky. 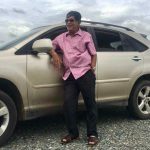 Prime Minister Hun Sen continued to fight off Facebook rumors that he was unwell and seeking treatment abroad over the weekend, making his case using video selfies and photographs of a casual Sunday drive. 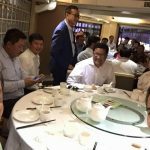 While highly contentious new rules were being passed in the National Assembly on Monday banning the CNRP from collaborating with its former leader Sam Rainsy, photographs were posted to Facebook of senior opposition lawmakers dining at a riverside hotel in Kampot province. 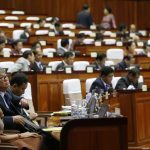 The ruling CPP on Monday passed contentious new rules that will make it illegal for the CNRP to even appear to be coordinating with popular opposition figure Sam Rainsy, in a National Assembly vote that was boycotted by the CNRP, which called the changes unconstitutional. 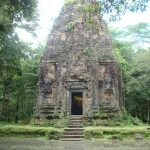 Sambor Prei Kuk—a collective of about 50 pre-Angkorian temples in Kompong Thom province—was approved on Saturday as Cambodia’s third World Heritage site, making way for increased conservation and its promotion as a remote tourist attraction. 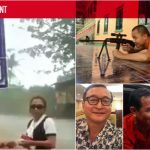 In late June last year, Cham Bunthet was having one of his regular catch-ups with fellow political analyst Kem Ley at a cafe in central Phnom Penh when his friend delivered an ominous warning. 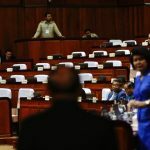 Opposition figure Sam Rainsy would effectively be cut off from any ties to the CNRP under a controversial set of CPP-sponsored changes to Cambodia’s Law on Political Parties. Whether it’s Sam Rainsy accusing the state of orchestrating a murder, a labor activist tossing a sandal at a ruling party billboard or a member of a government-branded “terrorist” group holding a news conference—the charge of “incitement” is rarely out of the Cambodian courts. 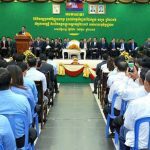 Prime Minister Hun Sen on Monday urged civil servants and their families to clean up their behavior or risk losing votes, in a rare call for party-wide reform not seen since a similar speech in the wake of the 2013 national election. 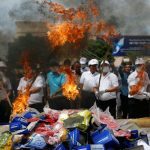 The leaders of the country’s anti-drug authority on Monday declared the government’s nearly six-month campaign to combat illegal drugs a success, although an NGO said the government’s efforts—which have included ramped-up arrests for alleged drug crimes—had made users more fearful of seeking treatment. 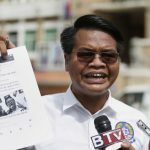 When Cambodian Youth Party President Pich Sros appeared last week at the Phnom Penh Municipal Court to sue his old boss, CNRP president Kem Sokha, few Cambodians knew his name, his political party or his motives. 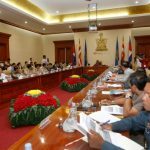 Opposition lawmakers spun an otherwise banal National Assembly session on Tuesday into a fiery debate on parliamentary immunity, with Assembly President Heng Samrin claiming the Constitution only protected those who obeyed the law. 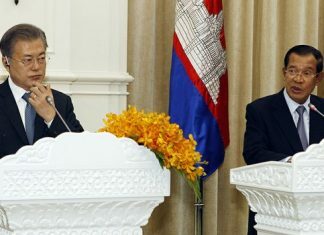 The people of Cambodia were sacred and “akin to gods” in the eyes of the Khmer Rouge leadership, and the country was in better shape by the end of communist rule than it was before, the defense team for Nuon Chea argued on Monday in court. Phnom Penh governor Pa Socheatvong and three provincial governors are set to be replaced and become advisers to the government, according to a royal decree signed over the weekend, making way for the country’s first female provincial governor to be appointed in Koh Kong province. 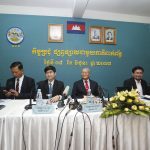 The National Election Committee (NEC) has asked the government to take legal action against two social media users for posting “inciting news” about the June 4 commune elections it claims dishonored the body. 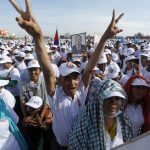 Hun Sen Lifts Ban, But Will Sam Rainsy Come Back? 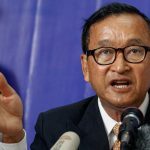 Exiled former opposition leader Sam Rainsy inched closer to returning home on Wednesday after Prime Minister Hun Sen lifted an order barring his entry to Cambodia, challenging Mr. Rainsy to make good on vows to risk imprisonment—or death—by coming back and winning the premier’s post in next year’s election. 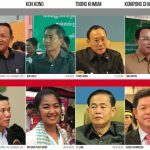 After this month’s commune elections, the long-ruling CPP will be losing more than hundreds of incumbent councilors across the country. Thanks to its pre-election promises, the party—and possibly the government itself—will also start hemorrhaging millions of extra dollars. 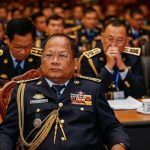 Interior Ministry spokesman Khieu Sopheak’s pre-election warning that some NGOs and their leaders were being watched for illegally aiding the opposition was a threat designed to frighten them, General Sopheak said on Wednesday, as civil society groups warily condemned the statements.